As an additional cost to cast Toxic Deluge, pay X life. Azorius - Busted. A go wide flyers strategy would be gross. Up to 2 target creatures get that buff seems more reasonable. Dimir - Too hard to get your first few experience counters, other than that I like the twist. Maybe 'if it's 2 plus the number of experience counters' and instead of a guaranteed once per turn it's a combat damage trigger and has it has Intimidate or another form of evasion. Rakdos - Broken beyond repair. It's too easy of a win off of Necropotence etc. on turn 3. Gruul - Kind of uninspiring but to be fair most of Gruul is. Selesnya - Too easy to get experience counters coupled with a good payoff. I like the payoff but am not sure what to do about getting experience counters other than make it a bit harder to build up experience... maybe a caveat making it similar to Evolve but just bigger power or toughness than your experience. You bring up a few good points here——primarily in the "play a little slower" observation. I think something this strategy wants to lean more on is being a midrange/slow combo deck; "I'm just playing big, dumb, fun dragons!" is kind of the message you want to send, so quickly dumping your hand and policing the board with a wipe doesn't play into that. I've won far more games w/ Savage Ventmaw + Aggravated Assault than anything else, and I'm thinking now that that should just be the primary line that we're sandbagging until we can set up protection to drop both on the same turn with backup (ideally Conqueror's Flail or Dragonlord Dromoka ). Under this playstyle, Teferi's Protection is much more valuable and flexible than Toxic Deluge , and Patriarch's Bidding is less a backup wincon than a recovery/value card. The secondary line then becomes a grindier mix of go wide/beatdown, either/both via combat damage and/or via Dragon Tempest / Scourge of Valkas pings. The whole reanimation plan, especially with a mass binning into Patriarch's Bidding or Living Death , feels more like a Scion of the Ur-Dragon as Commander strategy, and we don't have the slots, the bigger support package, or the curve (or the need, really) to focus on it, it might be another trap pulling the gameplan in too many directions. 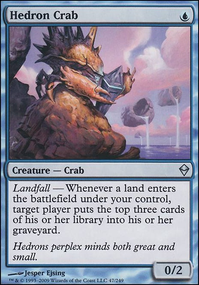 I haven't at all missed Thunderbreak Regent so far, and I'm actually happier for the time being having the extra land. Especially with the slightly slower gameplan (but lower overall curve with more consistency/smoother draws and mulligans). 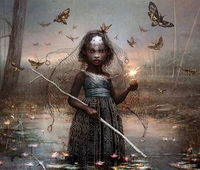 And with the Planeswalker package removed, Forbidden Orchard doesn't have as much of a downside, and can actually be a bit of a political play at any point in the game that takes some focus on you or gives minor resources to someone you had to hit with spot removal to try and avoid their targeting you back, but my list needs more fixing than yours due to the halved fetchland package. Since some of my gameplan is playing on people's perception and sandbagging to mess with their ability to threat assess correctly, and since I'm seeing this primarily as more of a 50-75% deck that can kind of hang with higher power but likely not optimized tables, I'm actually thinking of holding off both on the full fetchland package as well as any ABUR duals. In paper, at least in whatever passes for a local meta around here, threat assessment isn't often, objectively, very good, and I've sat at more than a few tables where you can tell that a "Geez, your lands (or cards) are super expensive!" reaction can sometimes be enough on its own to have you targeted as archenemy; this deck doesn't play archenemy very well. Well, Toxic Deluge might be a bit risky but theoretically you can set it at 7-9 to kill everything besides commander and reanimate everything with Patriarch's Bidding . Life loss actually isn't that great if you play a little slower. Teferi's Protection actually might save you from someone's alpha strike so that's the reason why I don't plan on cutting it. Also how the deck plays without Thunderbreak Regent ? Dedicated zombie tribal could be cool, and it seems you're already headed in that direction, so I'd check for any specific zombie lords you're missing ( Lord of the Undead for example) if you want to pursue that direction for your deck. 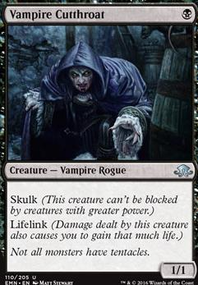 Subtracts; Killing Wave (people will just pay the life for what they want to keep, I'd replace this with Torment of Hailfire or Exsanguinate or an actual board wipe). Bontu's Last Reckoning almost makes you skip your entire next turn just so you can cast Damnation for one less mana. I'd recommend Mutilate over it if anything. Cruel Edict is bad, Liliana's Triumph and various other cards are much better for this effect, probably including Innocent Blood . Liliana's Elite is probably mediocre most of the time, Liliana's Reaver is just bad. Graveyard Marshal isn't actually great for zombies, there are lots of better ways to make zombie tokens if you want. I wouldn't recommend him. Desecration Demon will probably never be useful in EDH so I wouldn't recommend him, if your opponents really can't just handle taking the 6 damage to the face in the air then they'll definitely just have a creature to sacrifice to stop it. 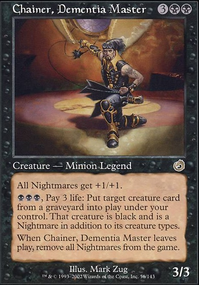 Its not a good card in EDH at all unfortunately. I think Greed or Erebos, God of the Dead > Arguel's Blood Fast Flip. 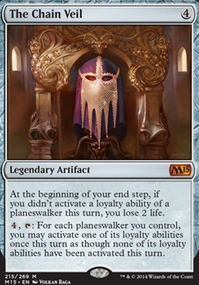 Also, I wouldn't recommend some of your planeswalkers; i love liliana but some of those cards are downright useless in EDH (if you manage to do a single thing with Liliana, Death Wielder I'd be shocked). Add; Dictate of Erebos ( Grave Pact with flash). Dark Prophecy , Midnight Reaper and various other similar effects to help you draw more (which I think your deck will want to do, and black has a million options for drawing cards, especially when things die). Definitely Corpse Augur and Graveborn Muse too. Toxic Deluge is also a better board wipe than most of your removal. I'd probably recommend Stitcher's Apprentice as well, to help you get some cards in your graveyard. I'll think of more if you want, there's such a wide variety of cards to use in black zombies. 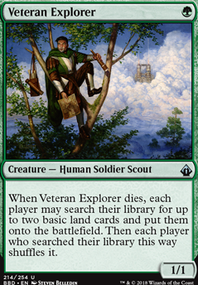 Also, your deck has multiple tutors, but not really any obvious win conditions to look for. Can you tell me what you think you'll be tutoring for most of the time? I'd say Gray Merchant of Asphodel as its probably your strongest card, but you also don't have much reanimation to back it up a lot of the time. You might have an issue with Toxic Deluge as a means to kill your angel. https://tappedout.net/mtg-decks/prossh-paper/ This is a competitive list of prossh. As you can see, it has a low curve with tons of tutors to find Food Chain . That is your deck. All the other combos are fluff. They are not needed, because Food Chain combo is by and large the best thing you can do. Things like Splinter Twin and Kiki-Jiki, Mirror Breaker are slower than Food Chain . Hence, this list does not play them. Been awhile since it has been updated, so the big things that need to be added are Walking Ballista , and Squee, Goblin Nabob . The reason for Walking Ballista is because Imperial Recruiter can find him, and infinite mana from Food Chain allows infinite pings. The reason for Squee, Goblin Nabob is because of the blowouts. As you play the deck and win, people will learn how to stop you. 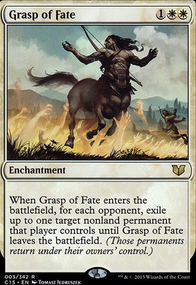 Examples include allowing you to cast your commander thirty times, then casting Krosan Grip to take out Food Chain . Then on there turn, casting something like Toxic Deluge and killing the board. Now, you are stuck with nowhere to go, because even if you get Food Chain back, you are not casting your commander again to generate infinite mana. Squee, Goblin Nabob prevents blowouts from happening. It also allows you to be faster than trying to get enough mana to get to your commander and Food Chain in the same turn, which is what you always want to do.